The talking Mickey we wrote about in May of this year will begin making regular appearances at Disney’s California Adventure park as part of a new show. This is the first time that the “enhanced” Mickey character, which has a moving mouth and blinking eyes, will routinely appear in front of visitors at Disneyland Resort as he plays a central role in “Disney Dance Crew” that debuts Friday at California Adventure. September 7 is the date that Disney has announced its plans to close the Bountiful Valley Farms area in California Adventure. 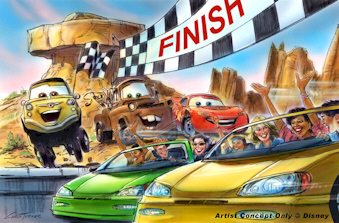 This to make room for Mater’s Junkyard Jamboree, one of the new attractions coming to Cars Land, an all new land based on the Pixar animated film – Cars. The area between the farm and the Pacific Wharf area will become the new entrance into Cars Land. As the continued process of re-themeing and enhancing takes place in Disney’s California Adventure park, Mulholland Madness is next on the list of attractions to receive an update. The family coaster, which has been called “unimaginative” in the past, will get a Goofy’s Sky Skool “refreshing” as part of the $1.1-billion effort to add a heavy dose of Mickey Mouse and friends to the under-performing theme park. 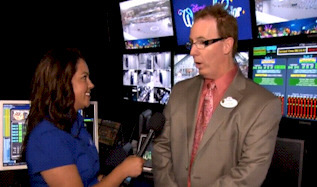 Disney Parks Blog has released a short video demonstrating the massive control room that controls over 18,000 active points, including 12,000 fountains, in the “World of Color” show at Disney’s California Adventure. It is indeed one of the biggest show control systems ever built. Disney Imagineering has so graciously provided a sneak peek at the vehicle testing for Radiator Springs Racers, a thrilling new attraction that is set to open in 2012 with the debut of Cars Land at Disney California Adventure park. 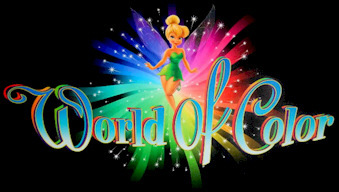 Disney’s “Wonderful World of Color” – It’s Kind of a Big Deal! Having see a full-length version of Disney’s Wonderful World of Color as captured by a park guest who then so graciously posted the footage on YouTube, I can say that the show is quite impressive. At just under 27 minutes, the attraction uses water, special lighting, fire, video and more to bring a variety of Disney characters to life in stunning color. If you are like me and not one of the fortunate few who will be able to attend Disney’s “World of Color” premier on June 10th at Disney’s California Adventure Park, here’s good news for us all. Disney will now livestream the premier of their newest attraction on Ustream, allowing the whole world to watch as it happens. Disney Parks Blog has come out with some additional exciting details surrounding the current makeover portions of The Disneyland Hotel are receiving. They include enhancements to the pool area as well as the addition of two new dining establishments. The Dreams Tower (to be renamed Adventure Tower) has already been under renovation and is scheduled to be completed in 2010. 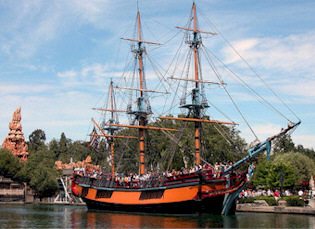 If you have been to Disneyland in Anaheim recently, you most likely noticed the construction walls around the Rivers of America and even have spotted the drained riverbed while the attraction underwent a lengthy refurbishment. Now that the rivers are being refilled, the LA Times reveals what new and exciting changes guests to the park can expect to see. Along with the long-awaited debut of the June 11th launch of the ‘World of Color’ Water Spectacular at Disney’s California Adventure, the resort has announced their line-up of Sumner Nightastic! activities which are scheduled to run from June 11th – August 29th. It’s an exciting list of shows and activities designed to draw crowds to the resort during the summer season. New Bobsleds for Disneyland’s Matterhorn? Disneyland’s Matterhorn Bobsleds was down for a brief refurbishment last week. During the downtime, a new prototype of bobsled (ride vehicle) was spotted. Unlike the current “cuddle” seats in the current sleds which typically accommodate two people per car, these new sleds holds three passengers per car in individual seats. However don’t expect to see them right away as a cast member was reported as saying that last week’s goal was simply to test the prototype sleds, and that there is still “a lot” of work to be done. If you have been waiting for the official announcement as to when Disney’s “World of Color” show is scheduled to open, wait no longer. The official date is June 11th when water, lights, fire, music and even animation will come together like never before allowing guests to experience their favorite Disney stories in a magical, new way. I always love anything “behind-the-scenes” at Disneyland. I’ve even been tempted several times to sneak into backstage areas at the park but have not succumbed to temptation just yet. Maybe it’s the fear of being tossed out of the park or simply not really wanting to spoil all the magic. 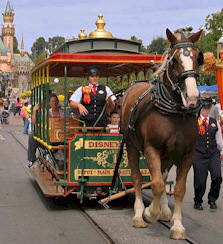 That is why I love this “sneak-peek” Disney Parks Blog released today of the Circle D Corral: the place where Disneyland horses live.